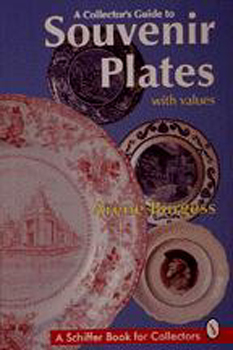 Collecting and displaying souvenir plates first became a passion in 1893, a passion still very much alive today. Over 560 color photos illustrate this survey of souvenir plates dating back to the 1800s. The views of prominent potters such as Adams & Company, Wedgewood, and Wood and Sons are included. Short histories are provided for each manufacturers or importer to which specific views are attributed. A list of views is also provided, using the name given to the view by each manufacturer whenever possible, and including additional information on border designs, unusual features, color, and size when possible. Information on recent oriental imports similar to older souvenir plates are also discussed.